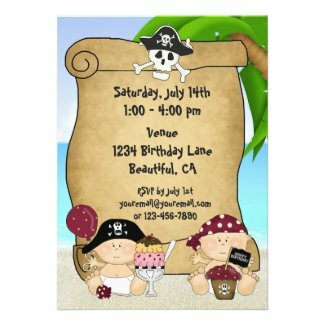 Take a look at this cute collection of Birthday Party Invitations. 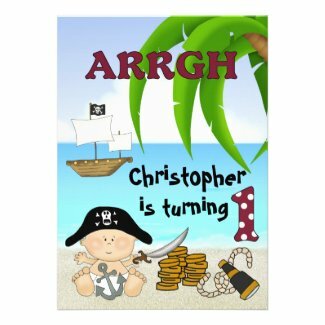 You will find a great selection for boys, girls, 1st Birthdays and Twins. 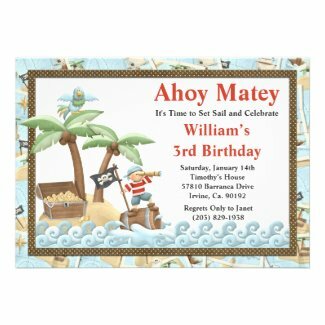 Select any invite to view additional details and personalize. 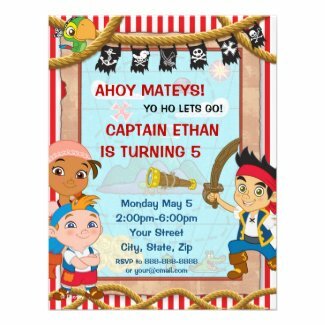 Take a look at the following sites for a great selection of pirate and buccaneer party supplies.